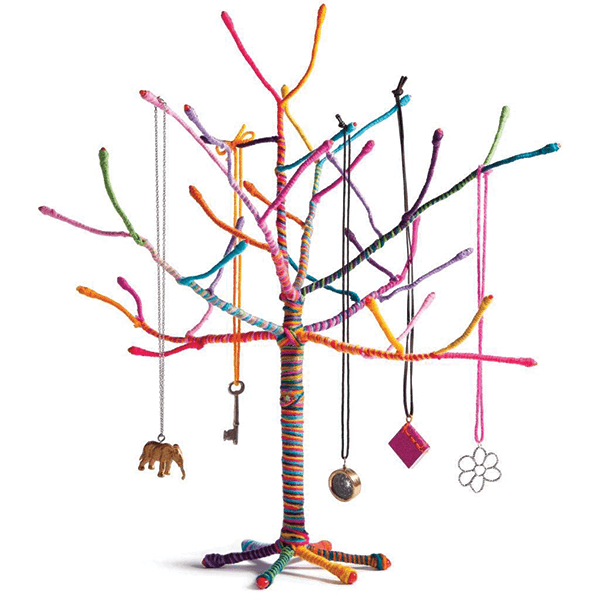 Shipping Dimensions: 15" x 10" x 3"
Kit includes an 18" tall bendable wire tree and a wonderful assortment of colorful yarn. Wrap it. Display it. Love it. One of the cutest crafts yet. Perfect for hanging jewelry or just set it out as a decorative accent piece. Take the 18" tall wire tree, wrap it with yarn, then bend it into the shape you want. Kit includes a wide assortment of colorful yarn. When you're finished, you've got the perfect place to display your jewelry. Don't feel like dressing it up with jewelry? Set it out by itself on any table, dresser or desk. 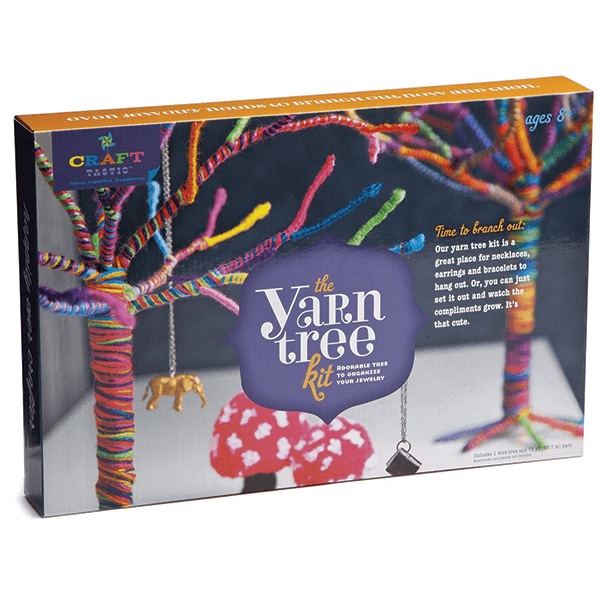 If You Liked Ann Williams Yarn Tree Kit, See More Related Products Below!